We asked if the abuser has been charged or arrested. As you can see by this update just received from the Compound, the government there has not yet taken action against the perpetrators of the totally inhuman treatment of this magnificent creature. Meanwhile, we are pushing to get a petition started to demand that arrests be made with proper punishment following. 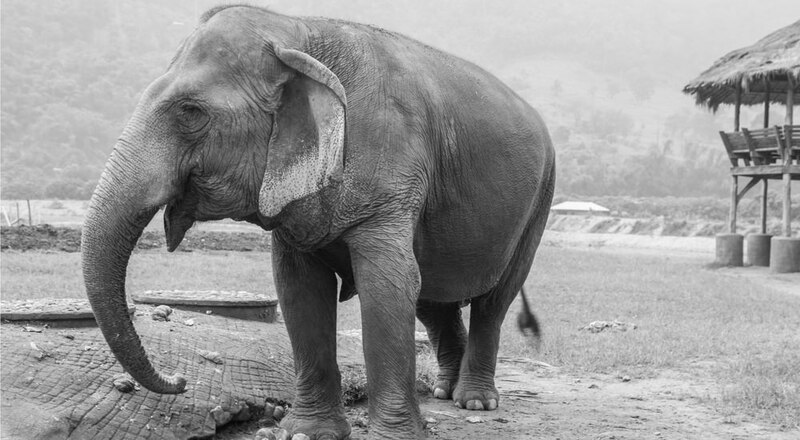 Here is the original story of Raju with photos: http://www.renewamerica.com/columns/miles/170215. This is the toughest story this columnist has ever written. How could anyone do something like this? One thing for sure such cruelty can only come from savages not humans. A huge part of Raju’s recovery has also been thanks to the target training sessions we have introduced into our elephants’ routines. Since the process is based on positive reinforcement, Raju gets lots of love, appreciation and peanuts – all of which have resulted in a calmer and much more cheerful elephant!